‘Bridge’ and ‘Network’ joined ‘Direction’ to form a new government; at the same time ‘We Are Family’ and ‘Ordinary People’ are opposing it. And yes, this sentence does make sense, if you are talking about Slovak politics. A new four-party coalition will be governing the country. The major player is the Social-Democratic party, Smer, (or Direction). The junior coalition partners are centrist-right or more nationalist right-wing parties. Can such a broad coalition work? While the situation may seem unbelievable, it is not without precedent in post-communist Central Europe. In the recent Slovak elections we saw a phenomenon typical of Central and Eastern Europe. The party system just does not make sense. New parties can appear, and become successful, in a very short space of time, while old parties just disappear. There is no long-lasting support for parties amongst the electorate. The parties themselves do not often keep ideologies and policy preferences for long either. Is this a sign that democracy is failing? There are many similarities between the party systems of the eleven post-communist EU member states. Of course, there are also enormous differences, but certain patterns, which can be explained by various social, political and historical factors, become apparent. After decades of one-party rule everyone wanted an electoral system which would respect diversity and guarantee a broader representation of the electorate. One obvious cause for this coalition politics system lies in the electoral system. There are two main ideal types of electoral systems: the proportional and the majoritarian. The proportional system (or proportional representation, the system which functions, for example, in Belgium or the Netherlands) means that seats are distributed according to the proportion of votes in a given territory. Proportional representation usually results in multi-party coalitions and tends not to produce single-party majorities. It ensures the representation of a wider spectrum of ideas and parties and the different parties are often forced to co-operate in a coalition. In majoritarian systems (such as the UK election system) the winner of the greatest number of seats achieves a relative majority, as the proportionally largest minority party, and can usually gain a majority in the legislative body. The first-past-the-post system refers to an election system in which, in a given constituency, whoever gains the highest proportion of votes gets the seat, even if this is just the largest minority and not the absolute majority; and other parties do not get any representation. The advantage of this system is that it (usually) brings stability. By contrast, a coalition of diverse groups can delay decision-making and force compromise. In 1989/1990 most Central European countries chose a more proportional system (or a mixed system). After decades of one-party rule everyone wanted an electoral system which would respect diversity and guarantee a broader representation of the electorate. In some cases when parties agreed on the rules of election they were not sure of the support they would receive, a proportional system ensured that neither the post-communist successors nor the new parties would be entirely left out of the new political system. As a result of these ideological and practical decisions in electoral system design, multi-party parliaments and coalition governments are typical in democratic post-communist European countries. One-party rule or a single party majority has become the exception. However, in most of post-communist Central and Eastern Europe the party system is very fragile. Familiar parties disappear and previously unknown groups can form election-winning parties. In Poland the social-democratic left (the successor of reform communists), the SDL, was the main governing party in coalitions of both 1993-1997 and 2001-2005. However, last October they did not even enter parliament. The two main parties of the Hungarian transition, the conservative MDF and the liberal SZDSZ, both left the parliament in 2010. On the other hand, in the Czech Republic, the ANO 2011 party (YES 2011), founded by the second richest Czech businessman (Andrej Babiš) as an association in 2011, became a political party in 2012. In the 2013 elections ANO became the second biggest party in the Czech parliament with 18% of all votes. One of the junior Slovak governing parties, #Siet’ (#Network), came to power by a similar route; it was founded in June 2014 and in March 2016 witnessed the appointment of a minister in a coalition. Both ANO and #Siet’ are defined by their leaders rather than by a party program. Sometimes parties do not even try to define which particular ideology or group they represent, as one might have expected. In Poland the famous rock singer, Paweł Kukiz, stood for elections in 2015. The party’s name was Kukiz’15. In Slovenia, the largest party of the government coalition is the Party of Miro Cerar (and if you assumed that the leader of this party is called Miro Cerar, you guessed correctly, he is the Slovenian Prime Minister). Often a split within the party leadership is the reason why new parties appear. In such cases political debates turn away from questions of policy or ideology and the acceptance of a single political leader becomes the point of consent within a, more-or-less, shared value system. The Hungarian Socialist party, MSZP, and its offspring, Democratic Coalition (DK), is a textbook example. Both the Czech TOP9 party and the governing Estonian Reform Party, Reformierakond, also had a similar genesis. Central and Eastern European parties do not usually have a solid electorate base. First of all, legal parties do not have a long history in the former Eastern Bloc; all of them have been founded, or re-founded, from scratch (or have had to completely redefine themselves, in the case of successors to Communist parties for example). Due to a lack of experience and capital they did not have the chance to build up strong networks and local connections around the country; in most cases they received state subsidies. However, this system, instead of tackling corruption, merely resulted in political parties which could be successful without a strong network of members and activists. Party membership in Central and Eastern Europe is lower than that in most Western European countries. In the mid-2000s, in Poland and Latvia, less than 1% of the electorate belonged to a political party. Furthermore, less than 3% of Hungarians, Czechs, Slovaks and Lithuanians belonged to a political party. Compared to 4,1% in Denmark, 6,59% in Greece, and 8% in Finland, this is very small proportion of the population. Alongside a lack of a broad-based membership, the ideological stance of many Central and Eastern European parties is also suspect. The traditional right-wing/left-wing dichotomy does not explain much; or, at the very least, the party’s name doesn’t help in understanding their policies. What do these parties stand for? If we look at the political compass, there are several visible divisions; for instance, social and cultural differences in authoritarian-liberal questions, such as the role of religion or minority rights. These issues are prevalent in countries such as Hungary or Poland. In some countries it is the break between free-market supporters and proponents of a regulated economy that forms the main division. The party systems of Estonia and the Czech Republic are, arguably, functioning in this way. During the years of transition all of these countries worked towards establishing democracy and a market economy. For more than a decade there was only one aim: to “Go West”, and to (re)join Europe. Eight of the post-communist countries joined the EU in 2004. In addition, almost all of the region’s nations also achieved NATO membership. In most cases the elite shared these goals of integration. Partly due to internal causes, partly due to Western influence, the direction of reform was more or less the same, regardless of the “ideology” of individual parties. The people who did not, or could not, benefit from this transition, and later from European integration, have come to feel that no party shares their concerns, that they are not represented by the political class. So, in response to the perceived indifference of the mainstream parties, whose policies were often very similar, despite their seemingly divergent ideological standpoints, new parties emerged, challenging the illusion of consensus, and highlighting the failures of the democratic era. 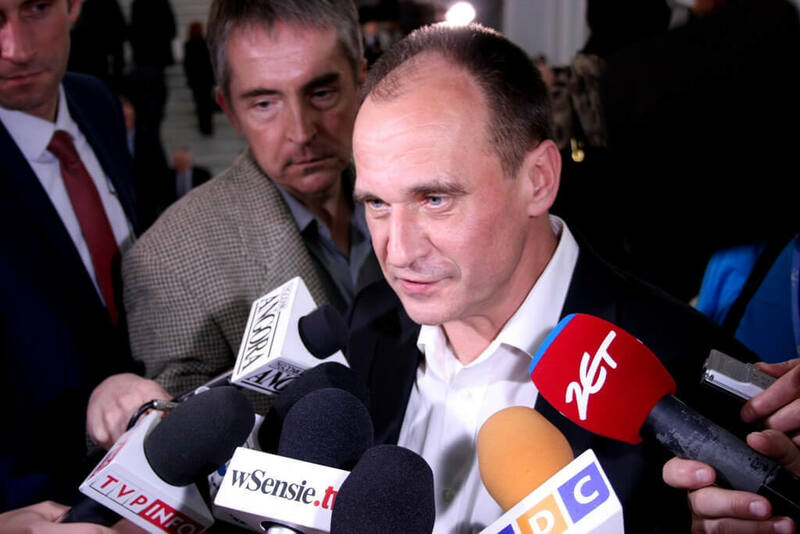 Anti-establishment parties emerged, often lead by one charismatic leader (such as the above-mentioned Kukiz’15), claiming that they are beyond or above party politics. This anti-elite and anti-political stance is very clear in the case of the Slovak party, “Ordinary People and Independent Personalities” (OL’aNO). Who could refuse to be represented in parliament by ordinary people? Extreme-right and extreme-left parties also exist, though they are often marginal. Their rationale is similar to that of the other populist anti-establishment parties. Communism is not popular in this region, for obvious reasons. Only the Czech Republic has a hard-liner party, which maintains its support in elections at roughly 10%. However, “classic”, nationalist, far-right parties are not present everywhere, despite the ever-present concern in Western media about rising nationalism in Eastern Europe. Nevertheless, one should not underestimate the threat posed by Jobbik in Hungary or the Kotleba party of Slovakia. Political apathy strengthens populist, anti-establishment and extremist parties, which do not, and cannot, provide feasible answers for the serious economic and social problems of the region. One of the biggest problems is that political parties do not represent a large enough proportion of the population. Turnout is decreasing from one election to the next in most countries of this region. Political apathy strengthens populist, anti-establishment and extremist parties, which do not, and cannot, provide feasible answers for the serious economic and social problems of the region. But, if a few people can change the direction and discourse of politics, this state of affairs also offers opportunity. Just a few hundred engaged and active citizens could have the potential to effect real political change. This is an opportunity to solidify democracy and create a truly representative political scene. We need to learn from the mistakes of the elite during the years of transition. Politicians need to connect with society and represent their interests. Political parties have an important function in democracies; to connect the people with power. But things do not always work out so simply in Central Europe. Citizens need to fight to assert their influence and force the elites to engage with their needs. If you are feeling hopeless, however, remember that your country is not alone in facing these issues! is a student and activist from Budapest currently based in Poland.